This week I start my new work out program, Core de Force with my fellow coaches and challengers. 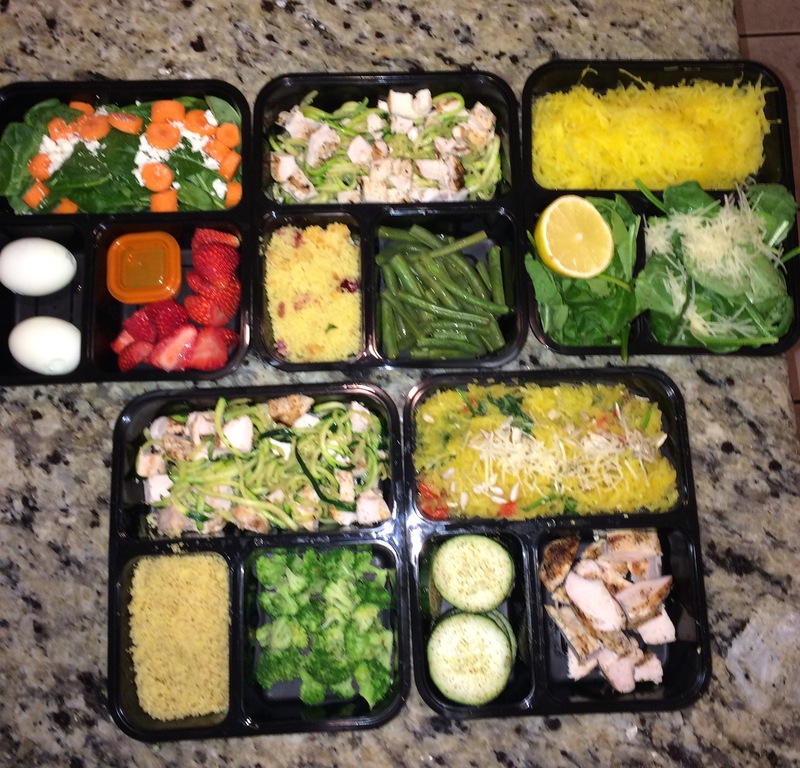 The biggest part of doing what I need to do to stay on track is meal prep! Most people do a list of what they are going to do, grocery list to go shopping and possibly repeat a few meals. Me, nope! I basically looked what I had in my kitchen and went from there. Now, to some people some of these items that I just “had” in my kitchen may be weird but it was different items I was going to make a meal with so I might as well use it for food prep! 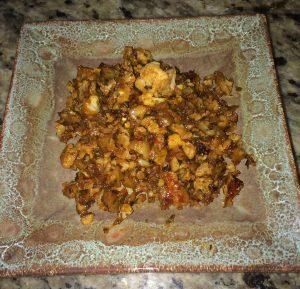 Before starting anything, I thawed out some chicken I had in the freezer, seasoned it with Table Blend Mrs. Dash and cooked it on the grill. Now I had my protein I needed for the week already prepped as I started with everything else! When we did the Biggest Loser workouts and meal planning, we got hooked on Mrs. Dash seasoning’s. They are salt-free, zero calories and have many different blends! My two favorites are the Table Blend and the Garlic & Herb. Spaghetti squash: I did use a bigger spaghetti squash than I planned to. 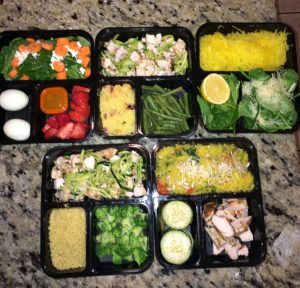 For this meal prep I would of used a smaller one. I used the extra for dinner’s planned during the week. I have a field trip with my class tomorrow to a farm so I had to make something easy to take in my travel cooler with my students and assistants lunches. This container worked out PERFECTLY and actually takes less room than if I made a sandwich and other fixings to go in there! 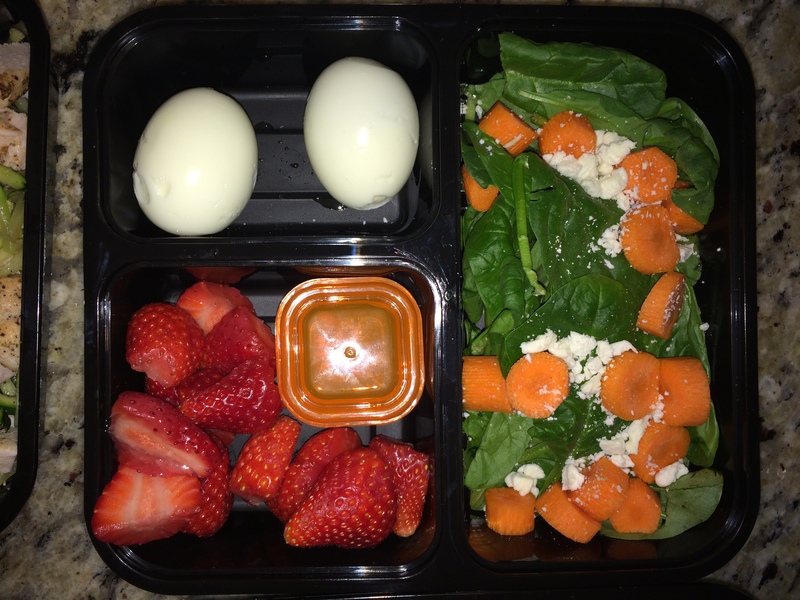 Big container area is 1 cup of spinach, 1 chopped up carrot and feta cheese. For the dressing I am using 1 tsp of olive oil and 1 tsp of red wine vinegar. Protein is 2 eggs and my fruit is delicious strawberries! 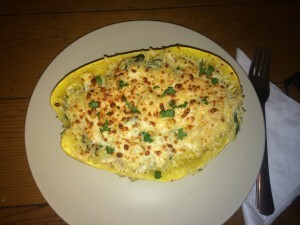 Nice, simple and healthy!! 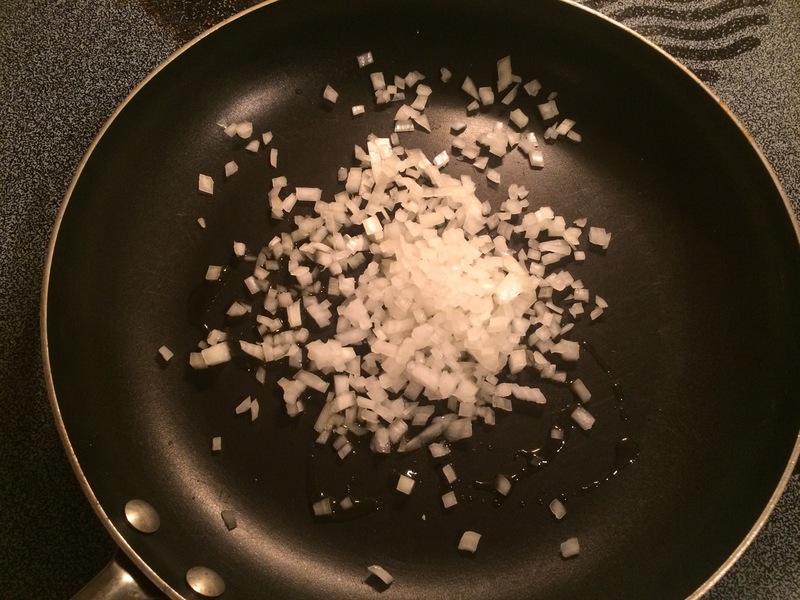 Large container area: In a large skillet on medium heat, add 1 tsp extra-virgin olive oil once the pan is warm. Add 2 cups of zucchini noodles and stir for 2 minutes. Add your favorite seasonings (salt and pepper is usually preferred while I did Mrs. Dash’s Table Blend. Cook for two minutes. 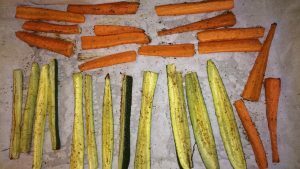 Put one cup of the zucchini noodles in the big portion of the container. Add the chicken breast to the zucchini noodles and stir. Medium container area: Place green beans and 1 cup of water in medium saucepan over high heat until it comes to a boil. Cover the saucepan and reduce the heat to a gentle boil for 3 minutes. Drain the green beans. Combine the green beans, oil, lemon juice, and lemon peel in the saucepan and mix well. Sprinkle with salt (optional). Small container area: In a small saucepan on medium heat, add 1 cup of vegetable broth until it comes to a boil. Add one cup of couscous, cover with a lid and turn the heat off. After 5 minutes, uncover and fluff the couscous with a fork. Add your favorite seasonings. For this day I added a few chopped cranberries, mandarin oranges and fresh, chopped basil. 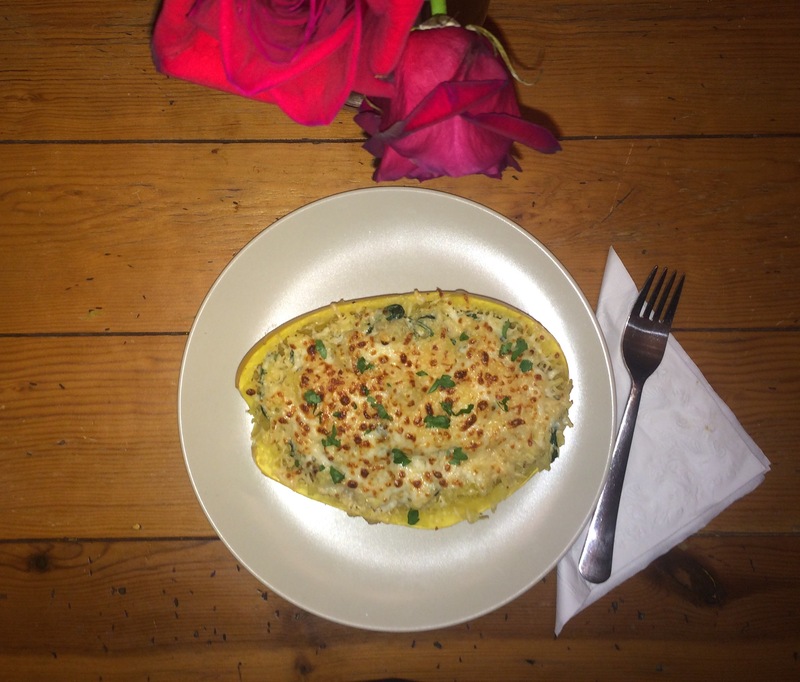 *Leftover couscous and zucchini noodles will be used for day 4. Large container area: Take your cooked spaghetti squash and scrape the insides with a fork to help get the strings off of the sides of the spaghetti squash. The amount that I used was a half of ONE of the spaghetti halves. Medium and small container area: 1 cup of spinach, 1/2 lemon, 1 TBS fresh grated Parmesan cheese. When you are ready to eat, place the spaghetti squash on a separate plate and heat up in a microwave. 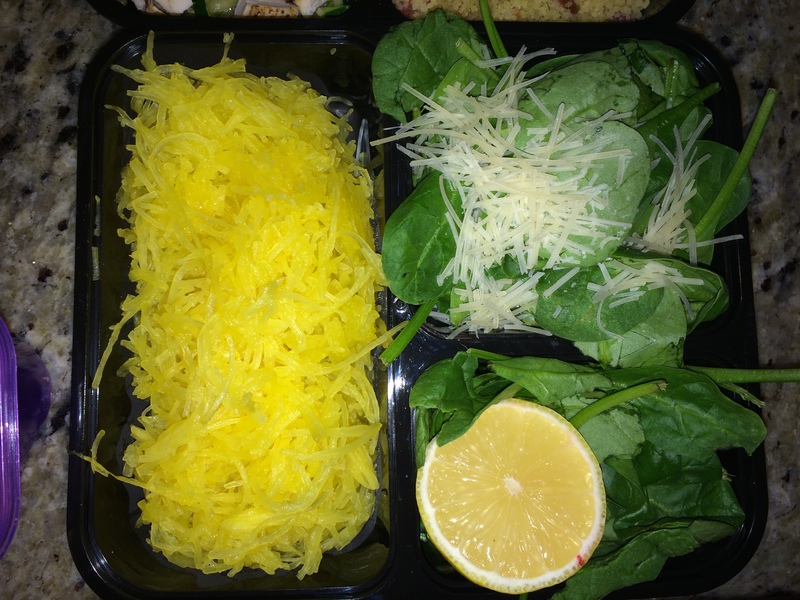 Once heated, add the spinach, lemon juice and lemon zest with the spaghetti squash and toss for two minutes. This helps wilt the spinach. Add Parmesan cheese on top and enjoy! Large container area: Add zucchini noodles and chicken stirring them together. 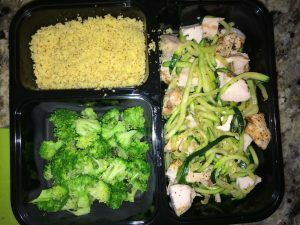 Medium container area: Steam one cup of broccoli. I like to use my Pampered Chef Small Micro-Cooker. Just takes a few minutes for a small amount to be cooked! 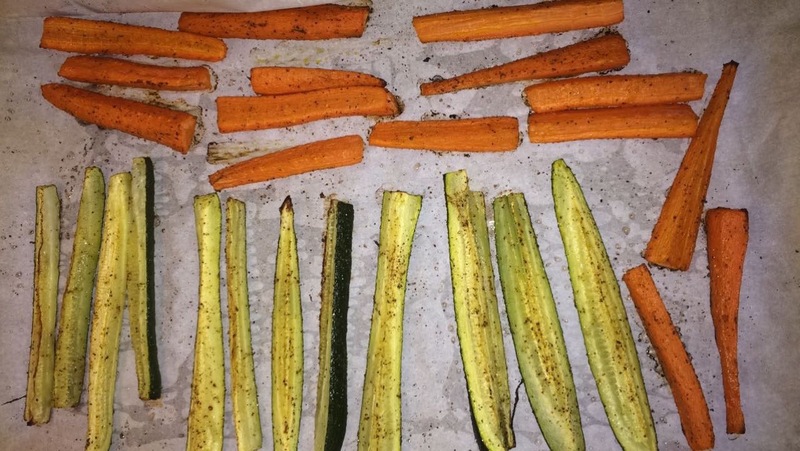 If you wish, use your favorite seasonings once it is cooked! For Thursday’s meal, I used Mrs. Dash Original Blend for my broccoli seasoning. 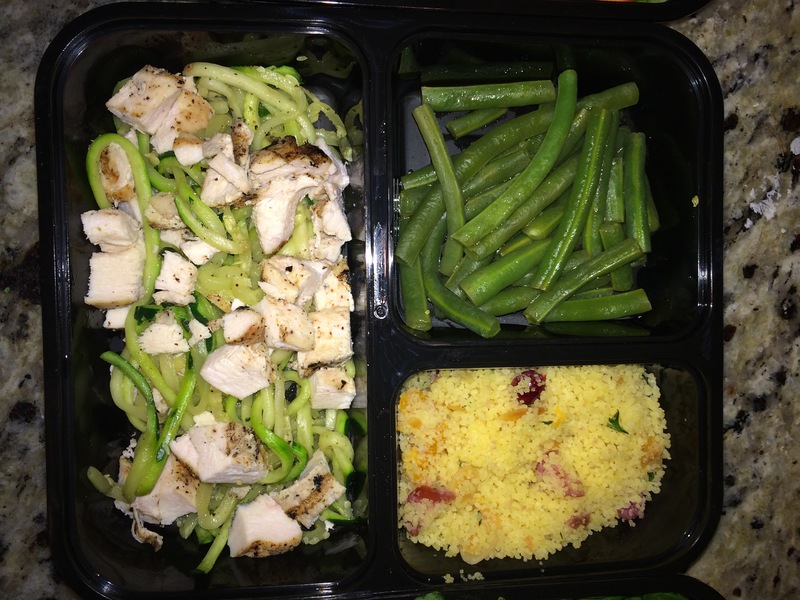 Small container area: Add 1 cup of couscous along with your favorite seasonings. I used Mrs. Dash’s Table Blend seasonings. Large container area: In a large saucepan, heat oil oil over medium heat. Add garlic and stir until fragrant. 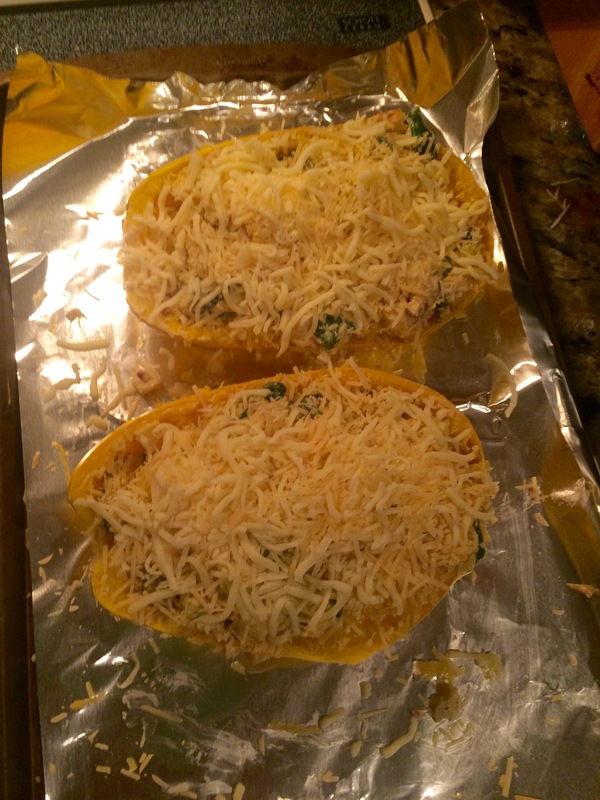 Add spaghetti squash, spinach and grape tomatoes. Stir and cook for 4 minutes. 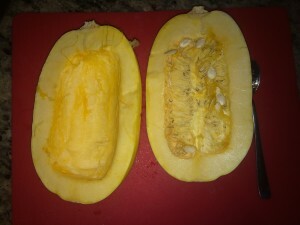 Once spaghetti squash mixture is in large container area, sprinkle pine nuts/sunflower seeds and Parmesan cheese on top. I also used Mrs. 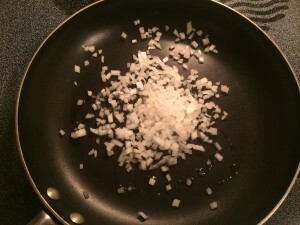 Dash Original Blend for seasoning while cooking. Medium container area: Add chicken breasts in container. 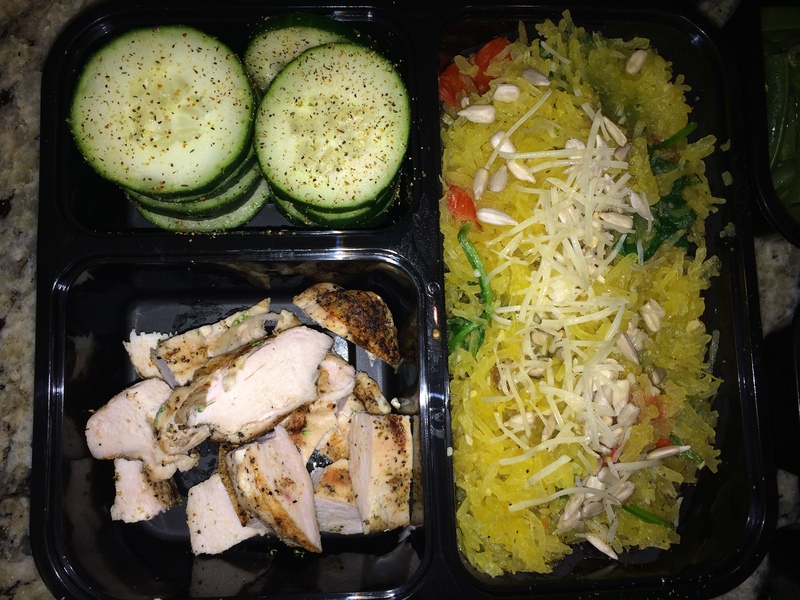 When preparing to eat after heating up, you can eat the chicken on it’s own or mixed with the spaghetti squash. Small container area: Not wanting to waste an area of the container, I used this area for one of my morning veggie snacks. I sliced a cucumber and added Mrs. Dash Table Blend Seasonings to both sides. 1. Spread chocolate icing or Nutella on top of the graham cracker. 2. 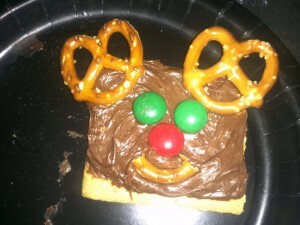 Place a pretzel on each top corner of the cracker for the “antlers” for the reindeer. 3. Put two green M&M’s for “eyes” on the top area of the cracker. 5. Break a pretzel to create the “mouth” and place it on the cracker below the red nose.